I remember a time when rocking chairs were reserved for nurseries and nursing homes alone, but thankfully, the advent of stylish furniture that thinks outside the box means that cosy seats are in for every room of the house. 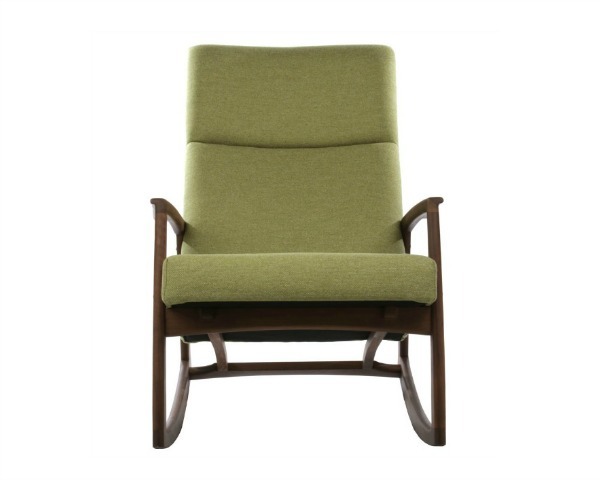 Serving up the practicality of a nursing chair with the effortless style of an accent chair, the Edvard Danish Design Rocking Chair will be itching for the baby days to be over so it can make its presence felt in the main part of the house. In fact, this chair could make the perfect day time rocker for those moments when you don’t want to stay cooped up in the nursery. Matt Blatt knows his stuff when it comes to quirky and eye catching design, and this chair fits right within his signature style. 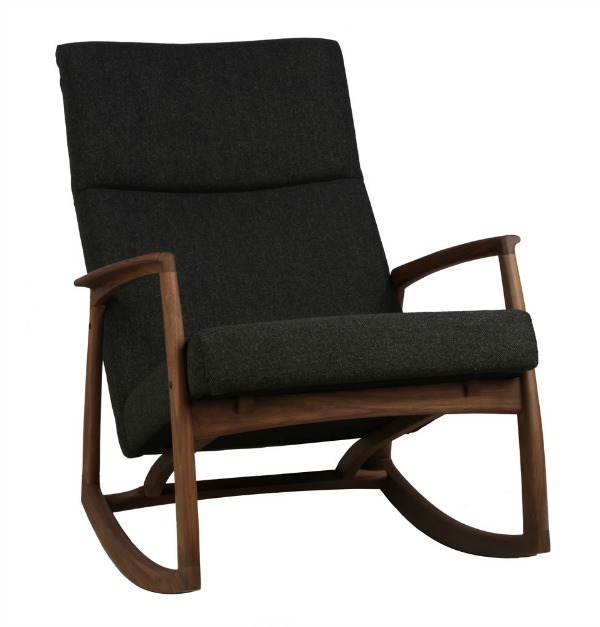 Crafted from solid American walnut and upholstered in New Zealand wool, the Edvard Danish Design Rocking Chair is unique, elegant and most importantly, comfortable. The low arms make it an ideal nursing chair too. Steering clear of traditional white and light upholstery that is so common in nurseries, this chair is available in dark grey or light green and is framed in a dark walnut timber finish. The Edvard Danish Design Rocking Chair lends itself perfectly to being softened up with a plush cream throw in the nursery or let the fresh and quirky design reign with some beautiful cushions in the sitting room. 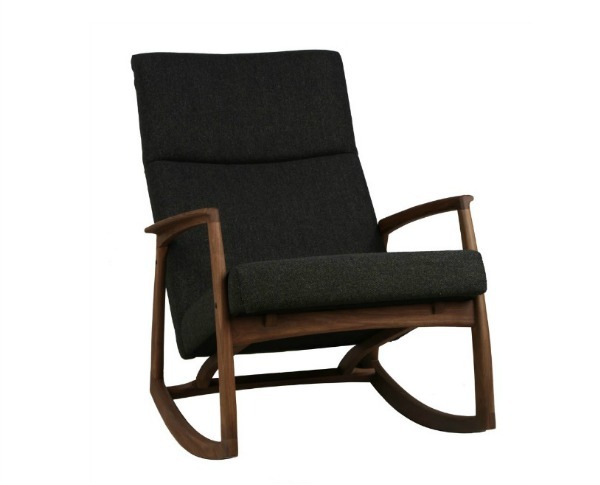 Retailing for $1295, you can find the Edvard Danish Design Rocking Chair at one of seven Matt Blatt stores throughout Australia or purchase it online through their e-store. 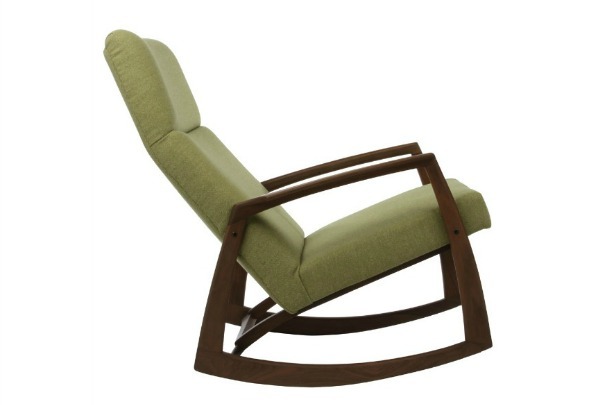 For more of our favourite rocking chairs on the market, check out our latest rocking chair round up.